so it will premiere on Oct 1st? JTBC’s “The Beauty Inside” has released its first teaser! As the remake of the popular film of the same name, “The Beauty Inside” will tell the story of Han Sae Ge (played by Seo Hyun Jin), who lives with the face of a different person for one week every month and Seo Do Jae (played by Lee Min Ki), who suffers from prosopagnosia, the inability to recognize faces. 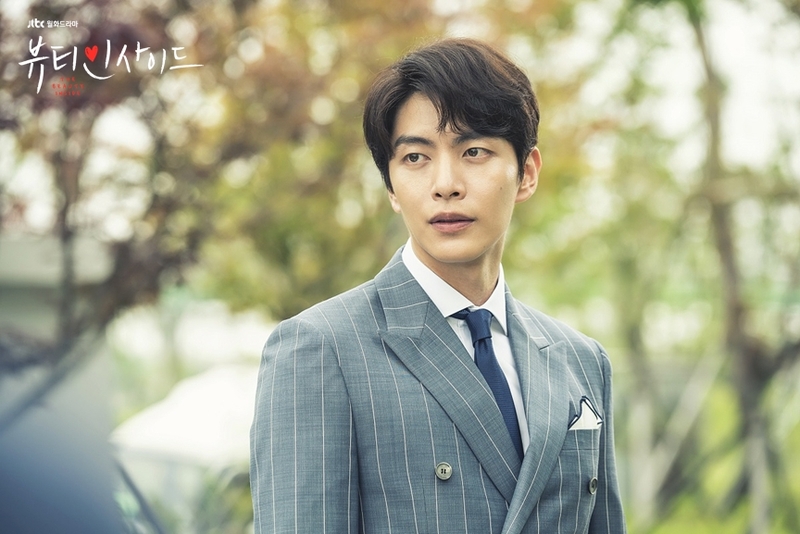 In the video, Lee Min Ki and Seo Hyun Jin stand in a busy street surrounded by crowds of people passing by. As those people walk by, Seo Hyun Jin is switched out by various different people. At once, she’s a little girl, and later, she’s a tall foreign man. 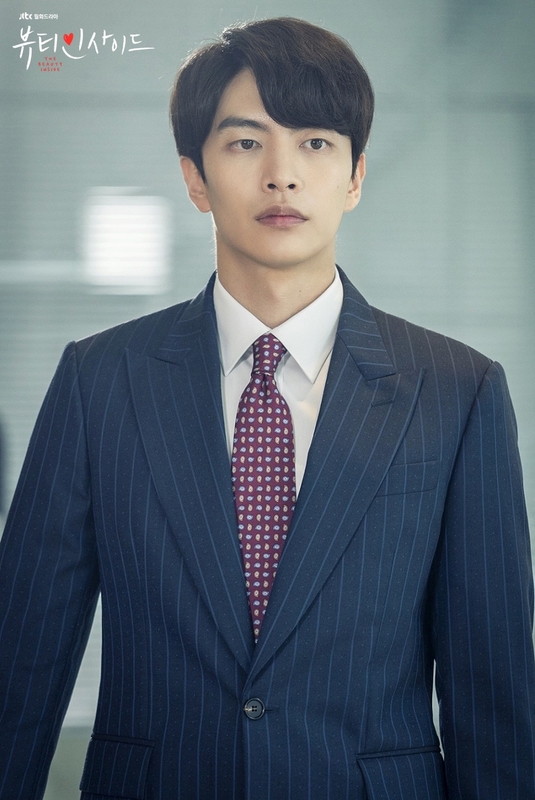 Lee Min Ki is not phased by these changes, however, and he walks towards Seo Hyun Jin in her different forms with a smile. 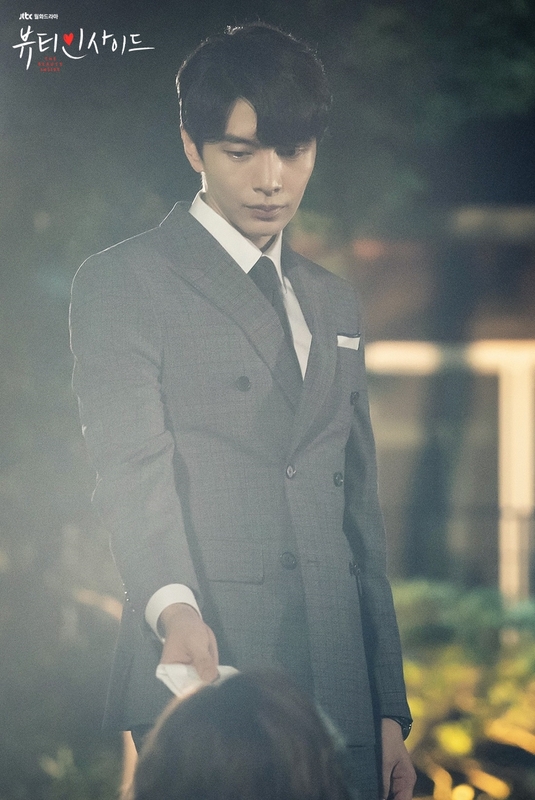 Finally, Lee Min Ki stands in front of Seo Hyun Jin and states, “Don’t worry. I’ll recognize you every time.” The two then embrace. Although the drama had previously been set to air on Mondays and Tuesdays at 11 p.m. KST, it will now air during the 9:30 p.m. time slot. With this new change in schedule, “The Beauty Inside” will premiere on October 1. Please note the timeslot for this drama has been moved from 23:00 KST to the primetime slot 21:30 KST. October 1 Monday 9:30 The first broadcast! I am a bit nervous about the slot change because it will go head to head with tvN's Monday/Tuesday drama. Not sure if JTBC will be able to keep the new timeslot. Although before, they've been experimenting on that by airing the repeats of Miss Hammurabi and Life. Surprisungly, their drama repeats win against tvN's Monday/Tuesday dramas. So I think, JTBC already had an intention to air their Mon/Tue dramas after their main news, but they're just putting it now since all sports coverages if the big three are over. Huh they took the vid down how odd. I love the 2nd teaser, so funny. It seems the drama is going to be more comical than the movie. So much fun n laughter there ..
And I loved the teaser poster as well as the teaser video, yes I like that it has that comedic feel, hope it will be a fun drama to watch. “The Beauty Inside” has released a character poster and preview stills of Seo Hyun Jin! The photos were shared with the details that her character Han Se Gye is a top actress who’s also mysterious and always surrounded by rumors and scandal, with gossip flying about all the men coming in and out of her house and rumors that she has a secret child. Of course, no one knows that the characters in the stories about her are actually Han Se Gye. She shows the aura of a true “top star” in the photos as she confidently poses for the many cameras around her, and Seo Hyun Jin looks perfect for the part of a glamorous actress. Love both leads and enjoyed the movie version, will check this one out! Last I saw LMK was BCIMFL, his character was the most lovable thing. Good luck to the drama.